So, the 3D CG craze has reached Iceland (this is mostly an Icelandic film – some funding and animated came from Ireland and Germany), a country in the Nordic region with a quarter the number of inhabitants of a medium sized European city. That does not necessarily prevent them from making good movies, but it also explains why they would invest in a fantasy film for children, when trying their skills in animated CGI. Children’s films can be quite profitable, but they also occasionally suffer from poor characters or basic animation in favour of cheap solutions such as talking animals, “because that is what kids like”. 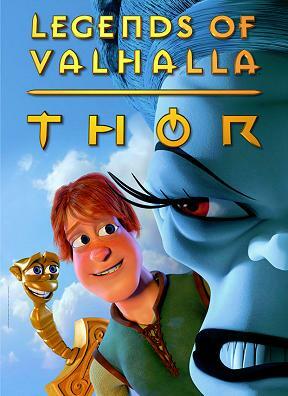 In this film, there are no talking animals (unless you count the trolls as animals), but there is a talking hammer, Crusher, which plays an essential role. Can not fantasy films for young viewers be made without talking animals or talking objects? Sure they can, and it isn’t exactly a creative choice anymore to give life to objects just to make it fun for the young ones. 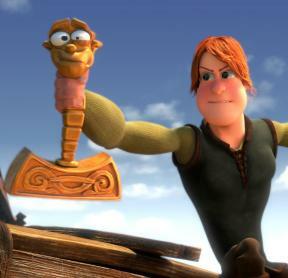 On the action side, stunts, fights and jumps are plentiful, and of course it is cartoonish (this is not Beowulf), which to some may be annoying but again, this is a child’s film and without impossible events it would have been a boring movie. I watched the 2D version and there are not too many moments where events are designed to look spectacular in 3D and comes out flat in 2D.